In the on-going Test match between Indian and Sri Lanka, the viewers witnessed a high-class drama as the Sri Lankan players came out wearing anti-pollution masks on Day 2 of the third Test match due to pollution. The game of fame was stopped many times because the Islanders felt uneasy. But on the other hand, Indian skipper Virat Kohli, who scored the 6th Double century of his career and batted for two days, was not at all uncomfortable. Due to all the high-voltage drama at the Feroz Shah Kotla Ground of Delhi, Virat was forced to declare the Indian inning just at the score of 536-7. Virat Kohli, who is also known for his aggression off and on the field, was very unhappy with the unprofessional behaviour of the Sri Lanka players. 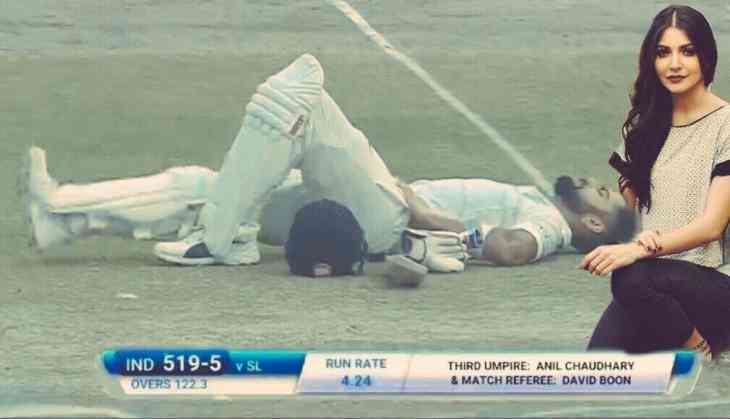 That's why when the tourists were discussing their inability to play the match due to smog, the Indian skipper took time to calm his mind and lied down on the field.